Congratulations to Meredith Mecum ('07 B.M.A. ), who has been named the winner of the 2017-18 American Prize in Vocal Performance (professional division). The Prize recognizes and rewards the best performances by classically trained vocalists in America, based on submitted recordings. Subtitled the Friedrich and Virginia Schorr Memorial Award, the American Prize honors the memory of the greatest Wagnerian baritone of his age, Friedrich Schorr, who commanded the operatic stage between the world wars, and his wife, Virginia Schorr, who taught studio voice at the Manhattan School of Music and the Hartt School of Music for nearly fifty years. Meredith Mecum, praised for her “soaring soprano”, has been awarded a grant from the Solti Foundation, second place in the Ades Vocal Competition at Manhattan School of Music, and an Encouragement Award from the Gerda Lissner Foundation Competition. At the Merola Opera Program in summer 2015, Mecum performed in the Schwabacher Summer Concert and Merola Grand Finale, singing excerpts from Susannah (Susannah), Die Walküre (Brünnhilde) and The Queen of Spades (Lisa). Other performances include Una Coèfora and cover of Clitennestra (Cassandra) with Teatro Grattacielo, Clara Schumann (Clara) with Cutting Edge Concerts, Donna Anna (Don Giovanni) with the Banff Centre Opera, Berta (Il Barbiere di Siviglia) with Opera New Jersey, Rosalinde (Die Fledermaus) with Prelude to Performance, and Rose Segal in John Musto's Later the Same Evening at Manhattan School of Music. She recently sang the title role in Tosca with Amore Opera (NY), and will sing the role of Leonore (Fidelio) with West Bay Opera (CA) in 2018. 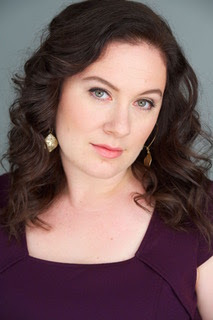 Performances of partial roles include scenes from Don Giovanni and Le nozze di Figaro at Carnegie's Weill Hall, Cosi fan tutte with the Martina Arroyo Foundation, Der Rosenkavalier with Opera New Jersey, Falstaff with Ash Lawn Opera and Chautauqua Institute, Die lustige Weiber von Windsor with the Manhattan School of Music Opera Studio, and Madama Butterfly with Ken Merrill's Singer Seminar at Manhattan School of Music. In concert, Mecum has appeared as soprano soloist in Beethoven’s Symphony No. 9 with the Williamsport Symphony Orchestra. She has also performed as soprano soloist in the Faure Requiem, Saint Saens Christmas Oratorio, Poulenc Gloria, and Rutter Requiem at Hitchcock Presbyterian Church. In addition, she is a member of the Counterpointe Duo for soprano and cello with cellist Justin Dougherty. Mecum currently studies with Mark Schnaible in New York City. She completed her master’s degree at Manhattan School of Music in the studio of Joan Patenaude-Yarnell and her Bachelor of Musical Arts degree from Penn State in voice performance and art history, studying voice in the studio of Susan Boardman.